I'm excited to start a new niche website! As announced here, I'm starting Niche Site Project 4…and it begins now! 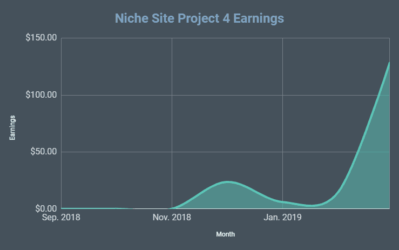 Before I jump into how to find a niche for your website, I want to remind you of how you can participate in Niche Site Project 4. (Participation simply means that you plan to build a website during the project and may be asked to share brief updates from time to time). Please fill out this Google form, if you'd like to be an “official” participant. Now that that is out of the way, I want to discuss how to pick a niche in order to build a profitable website. I'm going to focus on choosing a niche for affiliate marketing websites, because that is the type of site I plan to build. Overall, here's some winning criteria I will follow when picking a profitable niche that has lower competition. Find a niche where there are low authority sites already ranking. Find an area that has lots of topics that you could write content on that combined have lots of traffic (you don't need to find high traffic keywords per se). Make sure there are profitable products already being sold. Bonus: If you are interested or passionate about the niche that's ideal, but not required. That's it, those 4 simple strategies are what I use to decide if I want to build an affiliate website around a topic or not. Let's dive into each of those 4 areas now. The strategy behind this is simple: If there are newer or “weaker” sites already ranking on the first page of Google for certain keywords, that should give you confidence that you as a newer and weaker site also have a good chance of ranking on the first page of Google. If every keyword you look at has high authority websites ranking, you should avoid that niche. If you are easily finding 10 or 20 keywords that have low authority sites ranking, that could be a great niche. I will keep things simple. If I can find a site that has a Domain Authority (a Moz.com metric) below 30, that's “low” authority. Under 30 DA (Domain Authority) is good. Over 30 DA is bad. You can find the Domain Authority for free on sites by using the MozBar chrome extension and signing up for a free Moz account. Goal: Find 5 to 10 sites with a DA under 30 that are ranking for keywords in your potential niche. In my research, I will keep a running list of sites that have a DA of under 30 that are ranking for potential keywords I might want to target. If you can find 5+ sites, that's a really good sign. I like to call this Keyword Sampling. The idea is to see if you can find 10+ keywords relatively quickly that might be easy to rank for and have decent search volume. Ideally, you can find LOTS of topics to write about quickly. If you are struggling to even find 5-10 keyword that seem low competition, you might not be in a good niche. The easiest way to do keyword sampling is to use Long Tail Pro. If you can quickly find keyword phrases that have a KC (Keyword Competitiveness) of 30 or less, chances are you have found a good niche. However, if you can't afford to buy Long Tail Pro right now, there are other ways. For sampling, you actually pick a few long tail keywords that you think might be a good fit and start to judge the competition. So, you might find a keyword like, “best survival knife” or “best safety razor” or “easy piano songs for kids”, etc. Keyword is 3+ words long (longer is better). Keyword gets 500+ searches per month. First page of Google has 2 sites with both a PA and DA of less than 30. There are not more than 4 or 5 eCommerce sites on Google's first page (less is better). Protip: If you use SEMrush, you can find lots of great keywords by plugging in a website in your potential niche that has a low Domain Authority. I will use SEMrush alot in my more in-depth keyword research process, but it can come in very handy during this initial niche research phase as well. I've seen great success with low search volume keywords, even less than 100 searches a month sometimes. I used to say only find keywords with 1,000 searches or more per month, but I've adjusted that over the years. So, for just verifying the niche, try to find several with over 500 searches a month. But when you actually do your keyword research and are ready to write content, you very well may be looking for and accepting keywords with less than 500 searches per month. However, every niche is different. You MIGHT be able to find lots of keywords that meet the keyword sampling criteria and have over 2,000 or 5,000 or more searches per month and that's great. On the other hand, you might just see a ton of keywords in the 200 to 500 searches per month range and that can work too! The main idea is to hopefully find LOTS of keywords and topics that are low competition. That's a great sign. But if you are struggling to even find 10 or so keywords throughout the keyword sampling process…you might need to find a different niche. Having weak competition and lots of topics to write about isn't everything, you also need to make sure you can make some money in the niche. If you are looking to monetize your site with Amazon Associates, it's a pretty simple process. Just go to Amazon and see if there are lots of products in your chosen niche that are selling well. I don't have a magic number here, but if you can only find 5 or 10 products that are in your “niche” then you are either focusing too narrow or you are in a bad niche. However, if you can easily find 30 products or more in your niche (again there is no exact number, just a rough estimate), then you probably have found a profitable niche. 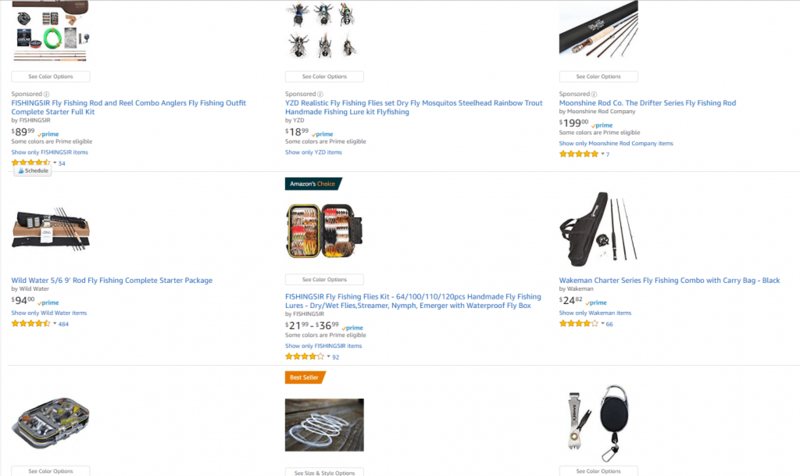 So, if my niche was flyfishing, I could easily find hundreds of fly fishing rods, reels, string, bait, and more. This would check the box of a profitable niche. People are buying lots of products. On the other hand if was looking into the niches or “Dad quotes” or “Best way to pick your nose”, I'm not going to easily find very many products selling. This would be a big red light for me. Be sure to do some poking around on Amazon to make sure there are lots of products selling before you pick your niche! Bonus tip: If you look at the bestseller rank of products on Amazon, you can see how well they are selling (lower bestseller rank means they are selling more). Once you start writing articles, it might make sense to feature products that are selling well, since you know they already convert well. Jungle Scout is a tool you can use to also see how much products are selling each month on Amazon. Look at brokerages (Empire Flippers, FEinternational, etc) and see what sites are selling that make good money. There are thousands of different potential niches that you could go into. Notice that the focus is on something that you could potentially have hundreds of articles written about (all of the above niches could have hundreds of articles). Ideally, you will find a niche that can continually expand over time. 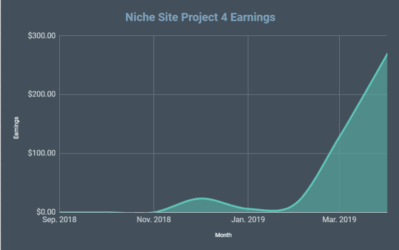 Now that you have seen the exact process I am following to find my niche for my project site, perhaps you are wondering when I will reveal it. I've actually been looking at niches over the past week or so, and I'm pretty sure I've settled on one. However, I don't plan on revealing the niche just yet until I'm 100% sure. I'll also may want to get a couple of weeks ahead before revealing too much so I can get a head-start. If you are in the process of trying to pick your niche, feel free to ask any additional questions below. Or join my private Facebook group here, and ask the entire community about finding a niche. 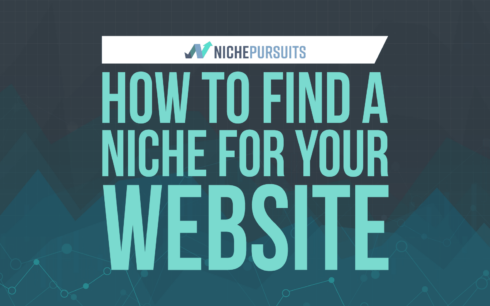 Have you found your niche yet? I'd love to hear in the comments below. You list things that need to be obtained to find good niches, are there any that are more important than the other? 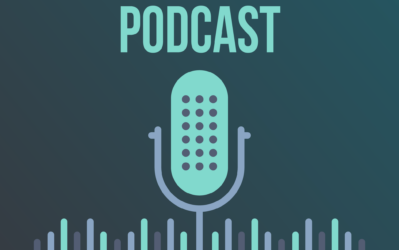 Also, if you have a niche, but some of the points from your criteria don’t quite fit, however you are sure that your content will smash the ball out of the park for what is currently ranking, would still pursue with that niche? In LTP what is equivalent to DA – Domain KC? What about niches where 50+% of the content is based on step-by-step visual tutorials (pictures and videos)? Many of competitors are not strong but some have tons of low-quality tutorials with pitiful results and for this reason, show up above the fold. Amazon has plenty of products. Do you think that verbal content is more effective for this project? What if you have some rare set of skills and can do visual guides a lot better than 95% of the competition? Do you think it will worth spending more time on producing original high-quality visuals? Hi, I found my niche before reading this article, so next step is to check everything you mention to see if it’s a good niche for my goal. I just found my niiiiiiche! I’m so excited. I thought it would be way more difficult than it was. And it’s also something that I can easily expand to have a great authority site. I’ve got my keywords found and I’m ready. What’s next? I can’t wait for the next article! I think finding your interests and passion is really what counts in selecting a niche (especially when you’re starting out). Once you know how to build a money making a niche site, then you can launch a niche site almost in any category you want. But when you’re starting out, focus on finding a niche where you can easily create 100’s of blog posts without losing your enthusiasm. Apart from that, you also need to consider how good or bad your competition is. Here’s where you should be using tools like Long Tail Pro, SEMrush etc for doing competitor analysis and finding great keywords that actually help you increase traffic and sales. Thanks for the great tips Spencer, loved it! This is super helpful. What do you think about using an expired domain with a good and clean backlink profile for building a new niche site? What are a few things I should be careful about while getting such a domain? I found a niche I need to check the stuff you mentioned above but my question is I want to get into dropshiping because I am signed up with supplies for this items and niche you think I can combine these stratiges to a combined dropshiping and affiliate site? I’m all for waiting quite a while until you reveal your niche. Too many people out there apparently have nothing better to do than copy or destroy someone else’s work. I have a niche site that turned two years old last month and it’s up to about $6k/mo in ad revenue. I just switched from Ezoic to Mediavine, so hopefully that bumps up even more over the next couple months. The majority of my traffic is from social media, so it has been an interesting experiment since normally I am so Google-focused. It’s also a good brand name domain (think more CleverHiker.com instead of toaster-oven-reviews.com), which has helped gain traction on social media. Now I’m debating whether to start another project or keep focusing on my current one. I still have room to expand on the current one. There’s a lot of content that I could write to build out the site some more to help my Google rankings. It would be nice to boost Google traffic up enough that no one source accounts for more than a third of my visitors. Pinterest is currently about 55%. On the other hand, I have a few good brand-able domains that I’ve bought over the years, one of which happens to be on your list (hunting). I also have a couple domains in the travel industry (honeymoons, international travel), one for personal finance, and one for golfing. After seeing how many projects you manage to juggle at one time, I think I need to focus more on the management side of things and assemble a small team to help ramp up faster. That way I can keep building my current site while starting a new one as well. Its good to know you are doing this again , I am also already have a running website, will have to check them according to the list you given here. Excited to follow your new niche site project, Spencer. Do you rely on keyword difficulty metrics (from LTP or Semrush or Ahrefs or KW finder) when choosing the keywords? And BTW, what happened to the niche websites from previous projects (survival knives, penny shaved, etc.)? Hey Spencer, how separated do you keep your niche sites? Do you keep Google Webmaster Tools accounts set up under different email addresses? 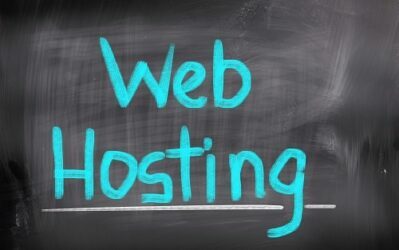 Separate hosting accounts? Amazon Affiliate accounts? Well, I’ve selected my niche and purchased domain & hosting. Now I am designing my website as I know the WordPress perfectly (basically I am a Freelancer based on CMS WordPress, working in Upwork) by using Genesis theme. And already I’ve choose my first buying keyword and 3 informative keywords. Ordered the buying article and now waiting to get it. Hey, Spencer great content as usual. I followed your article and I have my niche selected. I have to say of all the methods I’ve followed to select a niche yours has been the easiest to follow. To me it’s amazing just how many different niches are out there. In the past, I’ve done over 10 different niches, and the one thing that I’ve learn from all of them is each one can be a “success”. The main point regardless of what niche you go into is plan on being the best. If you don’t have the mindset right away, in my opinion, someone is bound to beat you in ranking at some point in the future. Anyways, great article! It made me reflect on what I’ve done so far! …but my question is, how would one determine if a niche is “too narrow” despite all of the other boxes being checked? I’m still looking for a profitable and good niche. It’s a bit harder in Germany. I could write all in English, but I think, I can write better articles in german…and Germans are…a bit strange to be honest. Really excited to be joining in with this project. And I believe that I have found my niche too! Don’t want to divulge it at this point but I’m pretty confident I can rank well for some decent phrases. I’ve got 40(ish) keywords to target so far. Plus, there’s plenty of stuff to promote, not just on Amazon but other affiliate programs too. The only downside is that it’s kinda seasonal as I’m only targeting the U.K. at the moment. That said, the longer term plan is to build a site in the same niche, targeting the US. Currently though, it’s a bit competitive and I don’t have the funds to attack it. Anyway, I’ve already got a domain (had it sat there gathering virtual dust for a few months) so I’m gonna get the site up this week and start cranking out content. What a great informative post! Of course most of what you share is amazing. I rarely comment on posts (need to do that more). For 18 years I have been involved in building membership and some niche sites and did very well from 2003 to 2011. Just before the infamous Google Panda algorithm updates hit I sold my businesses. It was good timing because a few of those sites got hit pretty hard even though I had no idea it was coming. My remaining sites were basically reduced to ashes! 🙂 One site though is still going strong after 18 years with the new owner! Like you, I started selling on Amazon FBA and sold that business for 7 figures. During these years I got away from SEO and building niche sites. Then, last year I took a great course by Chris Lee of RankXL on building Authority sites. I started a site which has give me mediocre results so far. I really did it as a test to learn the in’s and out’s of SEO in this new post Panda, Penguin and all the changes that have occurred in the wold of SEO. It’s much different than when I was doing it 10 years ago. So, I’m ready to really build an authority site but I have to admit, finding a niche has been so hard this time around for me. I have been researching hundreds of niches over the past several months. I get conflicting advice from what I read and hear about how to look at what is a niche. I don’t normally have an issue jumping into something and making it happen but picking a niche has been harder than I imagined this time. Everything is so competitive (I know competition is good means there is money in the market) but so many are producing great content. Anyway, love your post. It’s helping me to think more about choosing a niche. Hey Scott, thanks for commenting! I’m glad you found this information helpful. Sounds like we had some similar experience around the infamous Panda/Penguin updates. Glad you are back on the wagon and looking to build a new site. Thanks for joining me on this journey! Avoid Your money or your life niches ake the health, medical etc niches. Even just general health lifestyle avoid it. Because me and all the other big guys in this niche got b*t F*^%&ked by google by the last update. Meaning you literally have to be a docter with a diploma to rank. but to make things worse you have to be a docter with the expertise about the niche you are writing about. Gues who profited over this update. Healthline and all the other big boys. SEO is not the wild west anymore. Not just a random joe can join the game. Google is changed and not in a good way. If favors big companies nowadays. I see the top 10 and thin content of big sites is beating in dept articles of medium sites. The tip giver is correct that Google recently cracked down on YMYL (your money and your life) type sites. I’ve been trying to follow what you outline in your post, but I’m getting a little stuck. I’ve started using MozBar to find the PA and DA of different sites and found a few keywords that meet the criteria of <30 DA, but I'm not sure how to find all the 5 criteria that you mentioned without paying for tools. You mentioned that there are other ways besides using Long Tail Pro, and I'm also not able to pay for SEMrush at the moment. Are there in fact other ways to finding all the criteria without using these tools (i.e. searches per month, 3 or more affiliate sites in top 10, etc. ), or do I need to pay for these tools to actually make this work? Thanks! All you need is the MozBar and then a tool that gets search volume. Here’s 2 free ways to get search volume: Keywords Everywhere Chrome extension and Google Keyword Planner. For affiliate sites in the top 10, you just go look at the sites…there’s not a tool for that. Another question: In regards to sites listed on Google’s first page, does it matter that Google filters results based on your location? For example, if I search “fishing” it brings up articles from my local newspaper, state government website, or local fishing shop. I know these results would be different if I was doing the same search in a different state. How do I know that I’m on the right track if this is the case? Thanks! I’ve followed you for several years now, but if nothing changes, nothing changes, so very happy to join you on Niche Site Project 4. I’ve spent the last few days really researching what my niche should be and I think I’ve settled on an area that used to be hobby of mine and could easily go back to. Still very confused, and I have signed up to Moz SEO research. Looking at the keywords for my niche, the difficulty is ranked 41, kind of middling on how difficult it would be to rank above others on page one. This is on a very generic keyword search though, so I need to do some more work on this. Of the ten organic page one example sites listed, four have a Page Authority just over 30, some in the 40’s and the highest 55. Trouble is, all the domains listed have a Domain Authority over 45. Getting back to a more encouraging sign, Priority is ranked at 66. Not sure if I am heading in the right direction, but I may just take the plunge and see how I go. Thanks for all the advice and I am looking forward to tracking the project along with my progress. Thanks for taking the plunge! You may just have to do some digging to find a few longer tail keywords. Just about any niche has some sort of low competition keywords, might just take a while to find. I remember that search volume was not something to target during niche project 3. You said that focusing long tail keyword was more important and that you would even take long tail keyword with 10 monthly searches for an article at that time. But now it seems that you are more looking for higher search volume. Does this rule changed? When you talk about 10 to 20 keywords, is it on the same niche or different niches? 01. There is a missing “I” […On the other hand if was looking into the niches…] should be […On the other hand if “I” was looking into the niches…]. 02. Another one […I’ll also may want to get a couple of weeks…] should likely drop the “ill” in “i’ill”. 03. For LongTail Pro, do you use the web version or the actual desktop application? 04. For SEMRush, what type of subscription would be sufficient for our needs, first steps? 05. I did find my niche, excited to follow along with you. I purchased a long tail pro subscription. Has this product changed since the video was recorded? For example, I don’t see the option to select the number of words in the keyword. I figured it out. You have to log into long tail pro…duh. It likes has changed. However, I believe the number of words is still an option in the “Filters”. 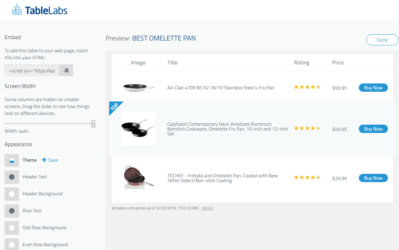 How do you differentiate between an affiliate website and an ecomm website in your sampling criteria? Isn’t an affiliate site also an ecomm site as well? No, an ecommerce site actually sells the products, you can checkout and buy on their website. These are usually pretty easy to see, since they have a “cart”. An affiliate site, only refers people to other sites and doesn’t handle checkout…it’s not an ecommerce site. Hi Spencer, how much time do you spend for finding a profitable niche to dive into? What do you think about analyze competitor during find the niche? Tks so much.